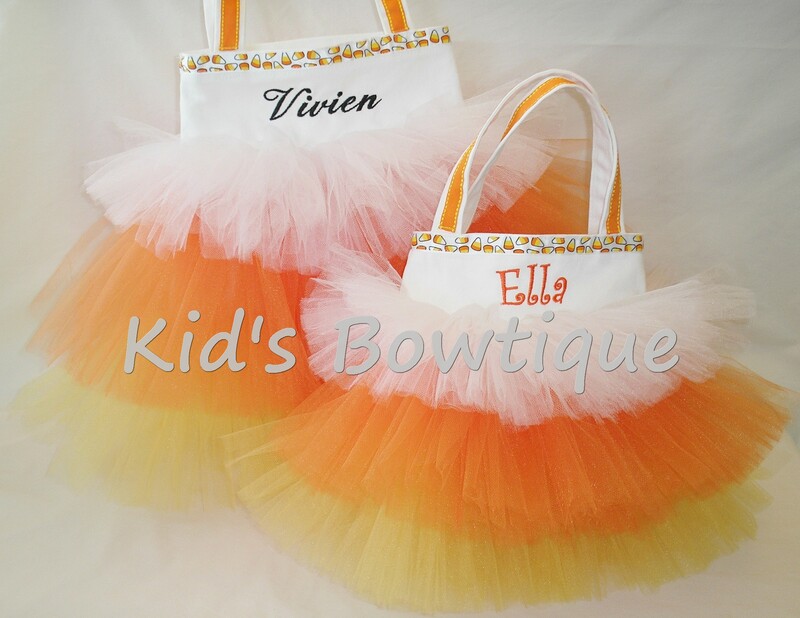 Our Halloween Candy Corn Tutu Bag is shaped like a candy corn and is perfect for Halloween trick or treating. It looks cute with many Halloween costumes for babies up to adults! Use it as a prop for great Halloween pictures. And/or put your last name on the bag and use it as a candy bag for handing out candy to trick or treaters. Pick your bag size: 13X13X3 (pictured Vivien) or 10X8X2 (pictured Ella). Our unique candy corn shaped bag is made of white canvas for durability, multiple layers of colored tulle for uniqueness, and monogrammed for personalization. Price is for ONE bag.